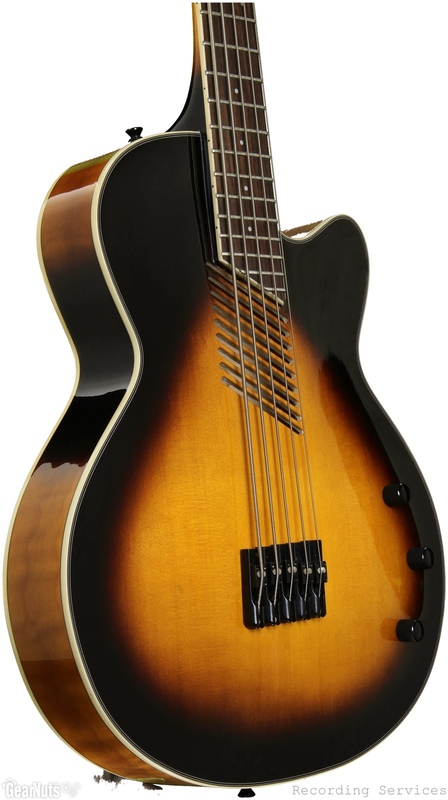 ​The Washburn AB45VSK acoustic-electric bass guitar will instantly give your music a distinct character. With maple back and sides topped with select spruce, you'll be able to conjure all manner of organic, resonant acoustic bass tones. The AB45VSK is perfect for performance too, with its patented Soundslot technology that helps reduce resonant feedback onstage. You'll be surprised at the tonal range too, thanks to a custom piezo pickup with bass and treble tone controls. 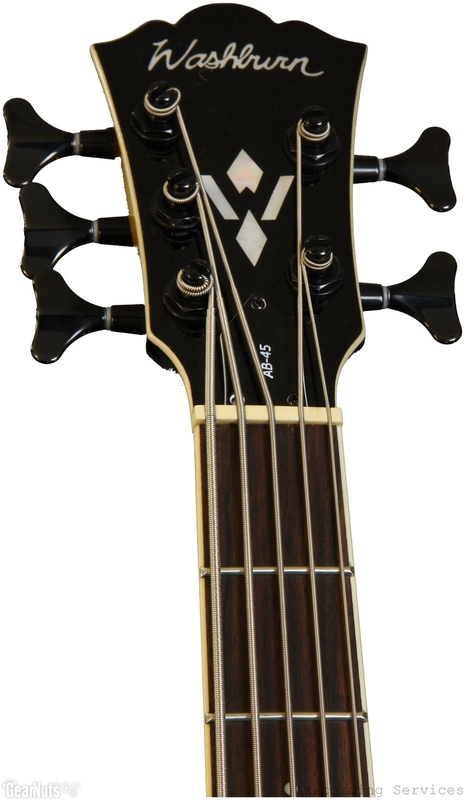 If you want something more than you can get with your solidbody bass, you need to check out the Washburn AB45VSK. 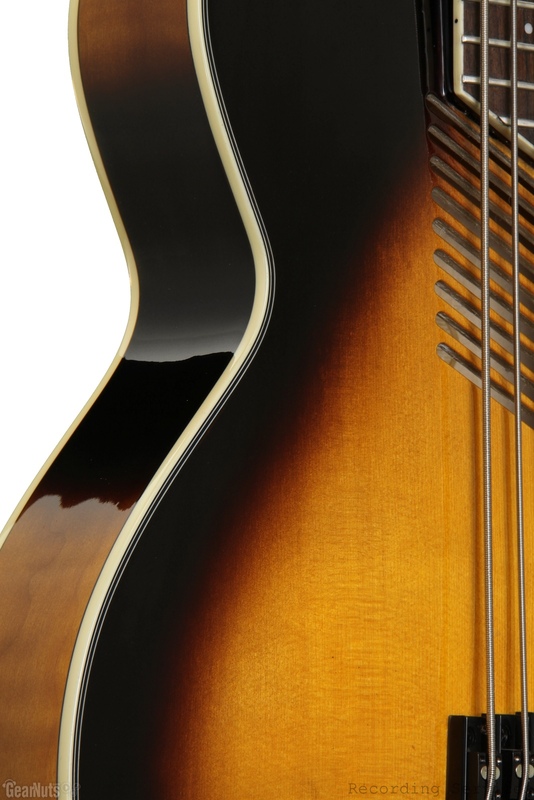 Rich in low/midrange frequencies, acoustic bass guitars are very susceptible to resonant feedback in live performance settings. Washburn's patented Soundslot technology makes the AB45VSK much less prone to feedback, while maintaining the wooly thump you want from an acoustic-electric bass. The Washburn AB45VSK comes equipped with a custom piezo pickup for great plugged-in performance. It's got a wide sonic range, with bass and treble controls to help you fine-tune your sound to your amplifier, the room, or your recording needs. Maple and spruce have always been choice tonewoods for acoustic instruments, so it's no surprise the Washburn AB45VSK sounds sweet. Spruce is known for exceptional projection and a wide tonal range. With the added brightness and articulation provided by the maple back and sides, the AB45VSK has a rich voice that's great for a wide variety of musical styles.